In this video preview, I take a look at Fleet: Arctic Bounty, the expansion to the strategic boat-building card game Fleet! 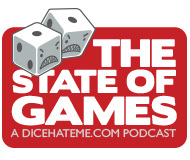 Is this successor to the Dice Hate Me Game of the Year for 2012 worth your Kickstarter cash? You bet your barnacles!